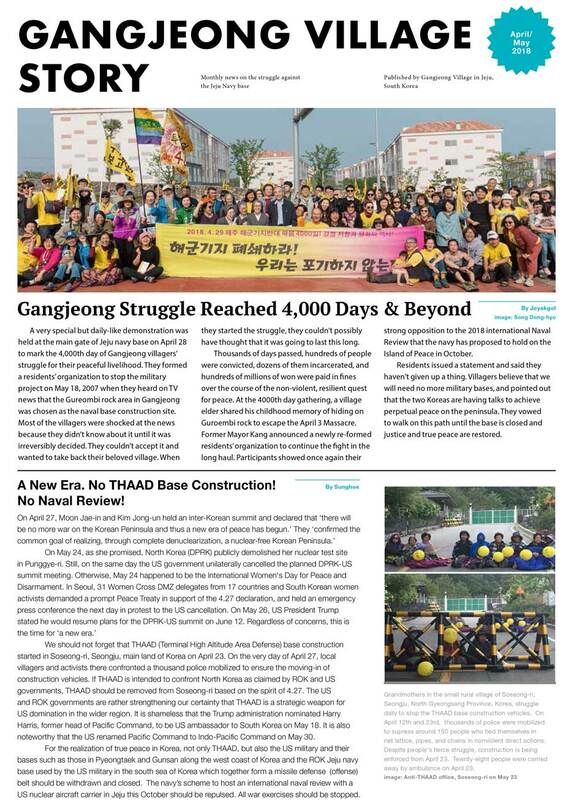 Gangjeong Struggle Reached 4,000 Days & Beyond/ A New Era. No THAAD Base Construction! 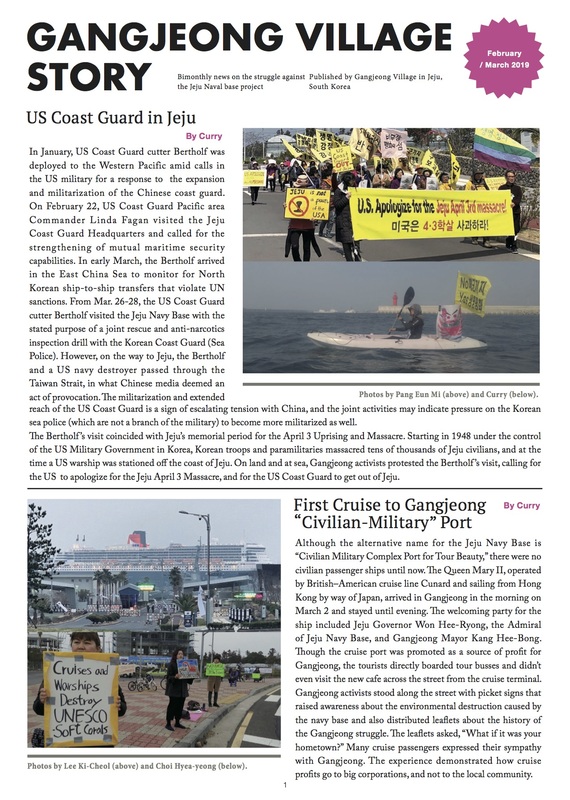 No Naval Review!/ The Night for the Memories of Vietnam and Jeju/ Kings Bay Plowshares/ Gangjeong Villagers Join Annual Okinawa Peace March/ Women of the Philippines & Jeju Talk Militarization / Gangjeong is April 3rd/ Sewol Ferry Tragedy Remembrance/ No SMA! No Money for USFK!/ Ann Wright Visits Gangjeong Village/ Mang-gi Chose Prison in Refusal to Pay Fines/ Poetry Night: No Jeju 2nd Airport/ Nullify the 2nd Jeju Airport(Air Base) Project!/ International Women’s Day for Peace and Disarmament/ad. On Inter-Island Solidarity Peace for the Sea Camp in Jeju 2018 etc.